Sean Szymkowski August 24, 2018 Comment Now! Meet the latest member of the Bugatti family: the Divo. The French luxury and supercar maker unveiled its latest creation on Friday at The Quail, A Motorsports Gathering in Monterey, California. And the Divo isn't just about straight-line speed, but a nimble and track-focused experience. The Divo name comes from Albert Divo, a Bugatti race driver who began driving for the brand in 1928. The Veyron and Chiron were also named after Bugatti race drivers. 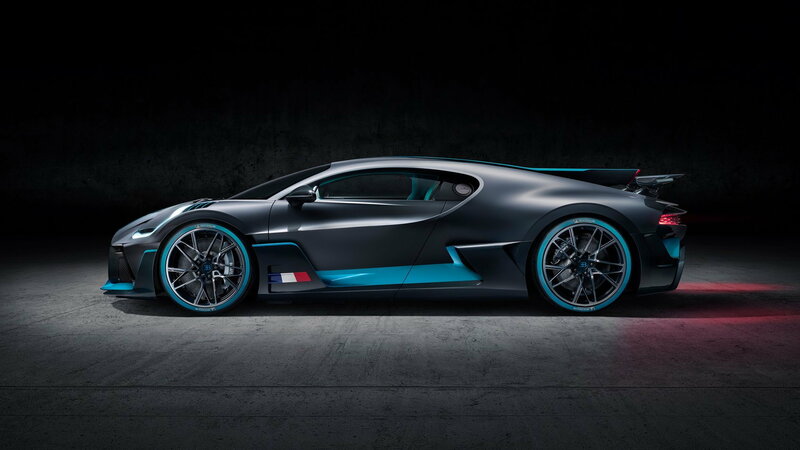 "The Divo is made for bends," Stephan Winkelmann, President of Bugatti, proclaimed. Indeed, engineers focused on stripping weight, stiffening the chassis, and creating a formidable track machine based on the Chiron hypercar. 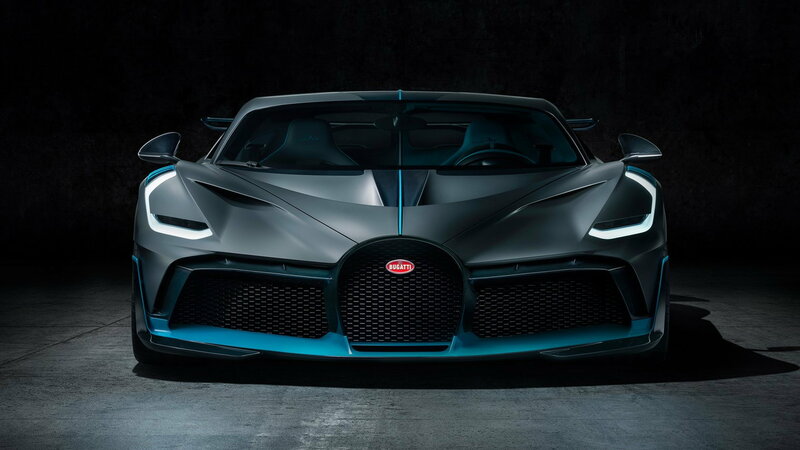 To start, designers worked up a fresh face that not only preserves the iconic Bugatti horseshoe grille but makes room for track-focused improvements. The front is home to sweeping LED lights that run up the front fenders along the wheel cutouts, more air intakes, and a new front spoiler that provides more downforce and better cooling. A NACA duct has been added to the roof. At the rear, LED pin lighting creates a dramatic look below a height-adjustable rear wing that's 23 percent wider than the Chiron's. Somehow, the Divo makes the Chiron's wild rear end look tame. Engineers were able to strip away 77 pounds from the hypercar in the process while adding 198 additional pounds of downforce over the Chiron. Thank the new rear wing and other aerodynamic trickery for the extra downforce. The suspension received more camber, the steering and suspension have been tuned for more direct responses, and the wheels are lighter. With the improvements, lateral acceleration now sits at 1.6 Gs and the Divo will clip a top speed of 236 mph with the same 8.0-liter quad-turbocharged W-16 mounted in the middle of the car. Power remains the same as the Chiron with 1,480 horsepower on tap. 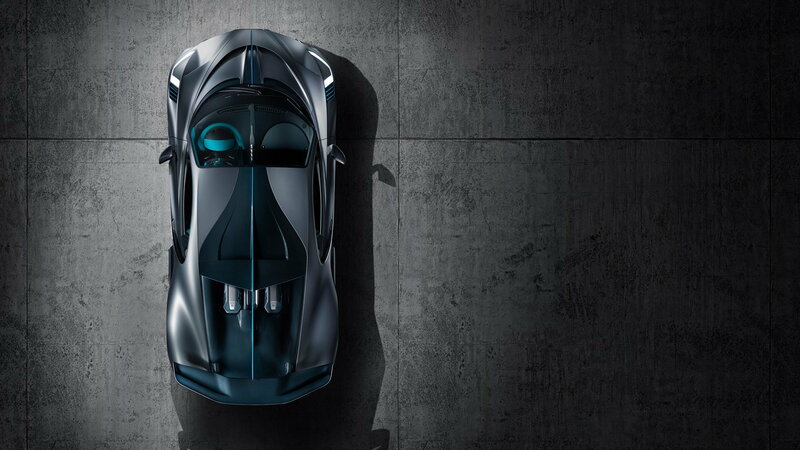 The lighter weight and improved aerodynamics help the Divo lap the Nardò handling circuit in southern Italy a full eight seconds quicker than the Chiron. The car is finished in Titanium Liquid Silver, a matte color on the fenders, and Divo Racing Blue, a turquoise blue developed just for the car. 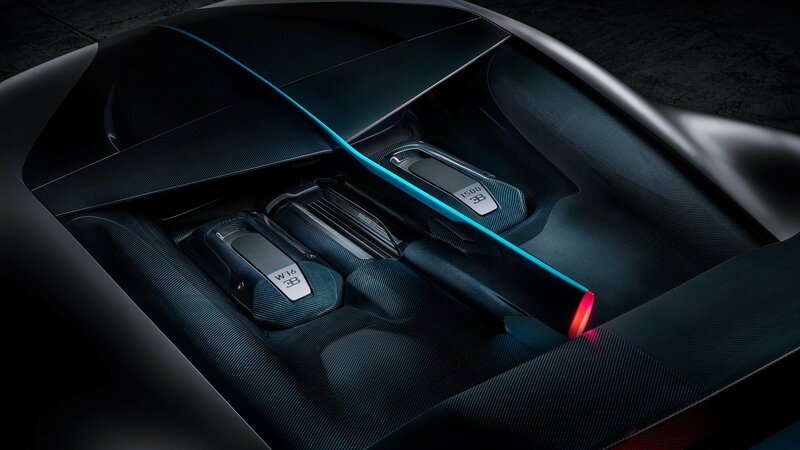 The air outlets, spoiler, and diffuser have a carbon-fiber finish. 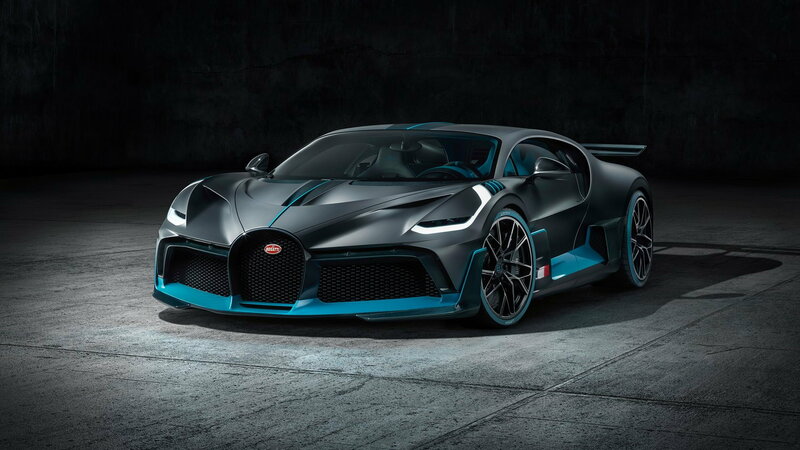 The Bugatti Divo is meant to mark the company's return to coachbuilding and kicks off Bugatti's 110th birthday, which it will celebrate in 2019. The French firm found enormous success in its earliest days installing bespoke bodies atop an existing chassis. It's likely we'll continue to see the strategy from Bugatti since all 40 examples of the Divo have been sold at $5.8 million apiece.